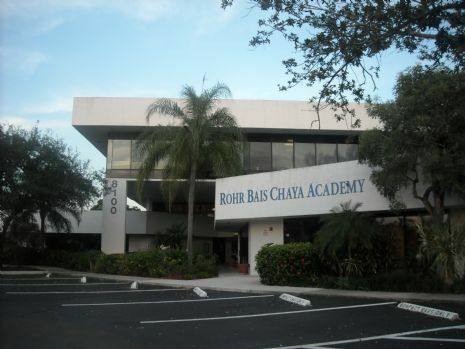 Turn RIGHT onto North University Drive / FL-817 N.
Rohr Bais Chaya Academy is 1 mile north and on the right side of the street. Look for the building pictured above. Exit airport and merge onto FL-112 E / AIRPORT EXPY toward I-95 N / BEACHES (Portions toll). Merge onto I-95 N toward Ft. Lauderdale / Orlando. Exit airport and merge onto I-95 South toward Miami. Take the Cypress Creek Road exit- Exit 33. Turn RIGHT onto East Cypress Creek Road / NE 62nd St.